Jeff Harnar: Does This Song Make Me Look Fat? Jeff Harner brings his show of witty lyrics Does This Song Make Me Look Fat? to the Crazy Coqs. See review here. 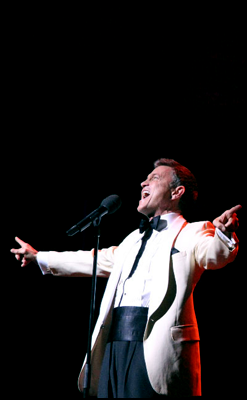 Jeff Harnar, winner of many awards, including the 2012 Noel Coward Foundation Cabaret Award, 3 MAC Awards and 4 BISTRO Awards, is best known for his theme shows, and often seen at The Mabel Mercer Convention in New York. 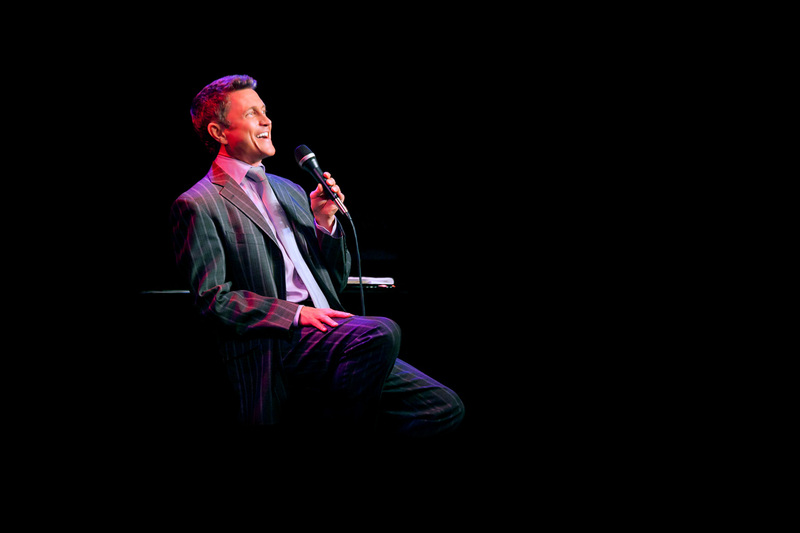 It is five years since his last visit to London, when he presented a programme of American Songbook, and now he brings Does This Song Make Me Look Fat?, with all the customary wit the title implies. Basically, the show is love songs– with a twist. The first section, a love-letter to New York, is quite gentle, embodying songs about that city quite often with alternate lyrics, not least from cabaret director Barry Kleinbort, and some nice work from On the Town. The ever-reliable Nathan Martin on piano showed his fine voice in the Cole Porter section, but whilst the lyrics, both old and new, were sharp, the delivery remained fairly restrained. The cheekiness was to follow with a medley from his parents’ ‘50’s record collection, taking the mickey at every opportunity, and infusing the Noel Coward material with real bitchiness. But, the items that really caught the imagination were the delightfully unexpected and very funny inclusion of the surmised lyrics for Jimmy Durante in the1936 Broadway show Red, Hot and Blue, and an ingenious blending of Oklahoma! lyrics and Stephen Sondheim tunes – “Sunday in the Meadow with Curley” (Rick Crom). This medley, rendered scathingly acerbic, yet somehow still respectful to both genres of musical, was truly a standout piece. Throughout all the crisp patter work, Harnar retained a polish and smoothness, interspersing a couple of beautiful ballads, including the lyrical “Sail Away” (Noel Coward) and a very well sung arrangement of “The World Goes Round” (Kander and Ebb) and “That’s Life” (Kay andGordon). Yet, never once did he slip over into the slickness that can alienate UK audiences. A well-crafted evening presented with deft delivery – a pleasure to see. This entry was posted in Cabaret Reviews and tagged Barry Kleinbort, cabaret reviews London, fiona jane weston, Jeff Harnar, Nathan Martin. Bookmark the permalink. 1 Response to Jeff Harnar: Does This Song Make Me Look Fat?